Joseph Pilates crossed the Atlantic Ocean almost a century ago teaching his method, “Contrology.” Here in San Francisco, we continue to admire his innovation and passion for life. Hye-Yeon and Helene met in San Francisco, one from Korea and the other from France. One has an art background and the other a business background but both share a passion for Classical Pilates. That’s how Pilates Story began. Pilates Story is here to create a place where you can be yourself, be happy, learning, connecting, and inspired to stay healthy. We are a Classical Pilates studio where you can feel and experience Joseph Pilates’ life’s work. We are nothing but truthful and original. We all came from different places and backgrounds but Classical Pilates continues to connect us. We are a highly trained and passionate group of teachers who are deeply knowledgeable about our bodies and the art and science of movement. We want Pilates Story to support our community. Pilates Story will be equal, fair and available to all. Our mission will grow as our community grows. Joseph Pilates called his method Contrology, which refers to the way the method encourages the use of the mind to control the muscles. The program focuses on the core postural muscles that help keep the body balanced and are essential to providing support for the spine. In particular, Pilates exercises teach awareness of breath and alignment of the spine, and strengthen the deep torso muscles, which are important to help alleviate and prevent back pain. This mat class is designed to introduce you to the practice of Pilates. 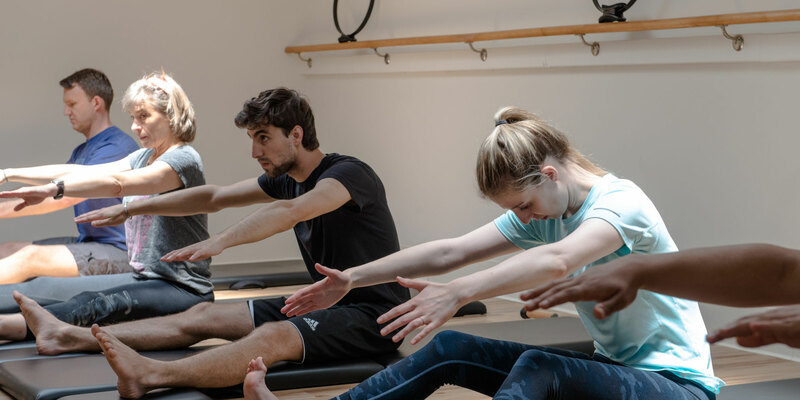 Emphasis is placed on the five basic principles of breathing, placement of pelvis, scapula, head, rib cage and ultimately effective and safe abdominal engagement. The great strength of Pilates is that it teaches us to better move and control our movements with strength, control and fluidity. This course is essential to begin Pilates practice and to better understand its basic principles. This class is designed to deepen the practice of Pilates mat work. Emphasis is placed on the five basic principles of breathing, placement of pelvis, scapula, head, rib cage and dynamic movement of spine. The great strength of Pilates is that it teaches us to better move and control our movements with strength, control and fluidity. Prerequisites: Mat Foundation and Apparatus Introduction. This class is designed to introduce you to the basics of the Cadillac, Universal reformer, Wunda chair, Tower unit and the other equipment. We will assess your skill and needs. We will also help you to choose the right class and schedule to get you fully integrated into the studio and on your way to reaching your goal! This class is designed for deeper work. Emphasis is placed on controlling the body with breathing, endurance and strength. Beginner course exercises must be mastered first; intermediate drills will follow. Prerequisites: Apparatus Introduction and Pilates Foundation. Class for those students knowledgeable in all Pilates equipment: reformer, tower, chair, spine corrector, mat and all props. Start your day with 30-minute morning mat pilates. Wake up your body and mind by working on the 10 fundamental movements and breathing exercises. Mobility and Breathing. This class is designed for senior people seeking to increase their body function and their quality of life.This class takes in consideration conditions like osteoarthritis, diabetes, and circulatory problems. Professional health clearance is required. This mat class is designed to work on strengthening your deep belly muscles and pelvic floor. This class is for women who want their bodies to look, feel and function better after having a baby. Whether you had your baby 6 weeks ago or 6 years ago or more, you want a core and a pelvic floor that work, that feel right and that do their job. We place a strong emphasis on pregnancy and postnatal recovery, however the information you will learn applies to any woman. An individualized approach to your body and its needs. Includes a comprehensive postural and movement analysis using various Gratz Pilates equipment. Due to limited numbers of equipment and studio size, Pilates Story is not a “drop-in” studio. We made this choice so that we can give full attention to all attendees. Please pre-register to reserve your spot prior to arrival using our online system or by giving us a call. We’ve made it easy: use any package towards any type of class. Hye-Yeon’s Pilates teaching has influenced every aspect of my life. She has helped me find more balance, endurance and better posture in my work as a musician. I now walk down the street thinking about each breath, about the way my feet touch the ground, about focusing my core. Her method is to take one’s individual body and methodically find ways of getting it to work more in synch with itself. Friends even say I’m getting taller. A Pilates lesson with Hye-Yeon ends up touching on so many areas of life. She always finds unique, brilliant ways of creating a unified field theory. Hye-Yeon is a positive force in a mad world. She is a masterful, joyful teacher. I have been studying classical pilates with Hye-Yeon for two years. She is compassionate and focused, a wonderfully gifted teacher with a holistic approach, a deep understanding of the connections between every part of the body. She emphasizes the importance of breathing and helps me reach my goals with a strong emphasis on safety and steady progress. Each lesson is fun and challenging – a high point of my week. Having broken my back twice in my twenties and shattered my right foot in eight places I was wracked in pain for years. My feet were so sore it was excruciating to walk barefoot. Doctors and foot specialists said it would never get better. My GP told me that I’d be miserable later on in life due to injuries I picked up. My wife recommended Pilates with Hye-Yeon. I put it off for ages and finally relented , what had I got to lose right? Long story short IT CHANGED MY LIFE I’m almost 40 and I am in the best shape of my life. It’s all down to Hye-Yeon I have a complete new lease on life. Thanks a million girl! 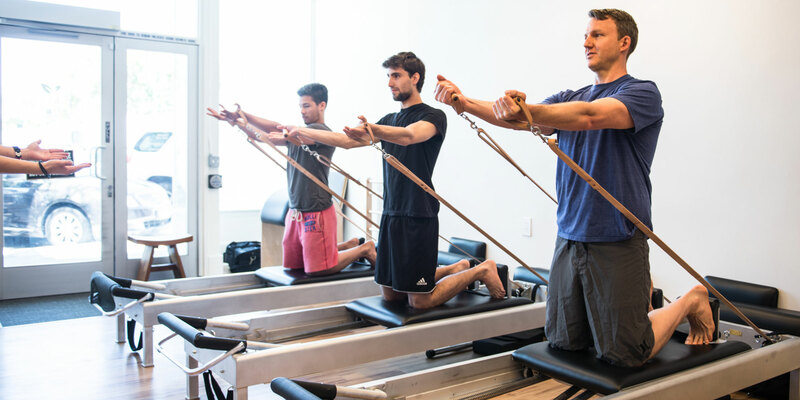 West Portal Avenue has finally found its missing link; Pilates Story has brought classical Pilates to our charming neighborhood and we hope it’s here to stay! After years of injuries sustained from dancing, running, having children and life in general I turned to Pilates a few years ago. I have been to many studios in the Bay Area and haven’t found one quite like this and it’s classical approach. Hye-yeon really takes the time to get to know your body and your goals. Her genuine spirit shines through as you enter the beautiful studio. The classes are leveled and small which makes learning and loving Pilates so much easier. For years I was taking Pilates and didn’t realize I was doing a lot of exercises incorrectly. The current trend of Pilates moving away from the original methodology is becoming the norm at a lot of studios. 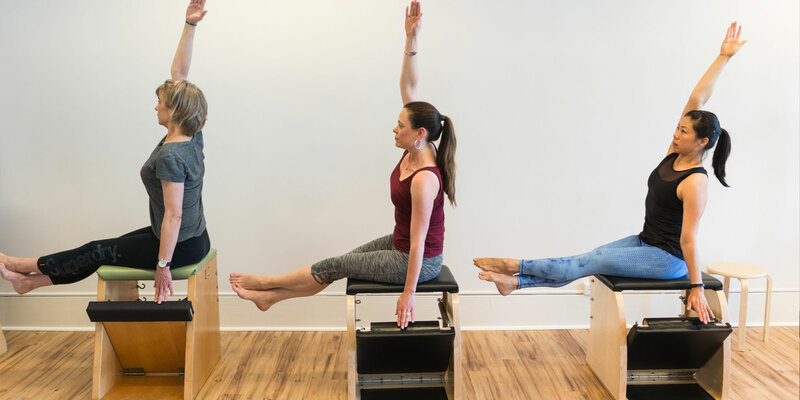 There can, and always will be variations in teaching methods and styles, but there is something so refreshing to take a class the way it was initially intended in the order Joseph Pilates taught. 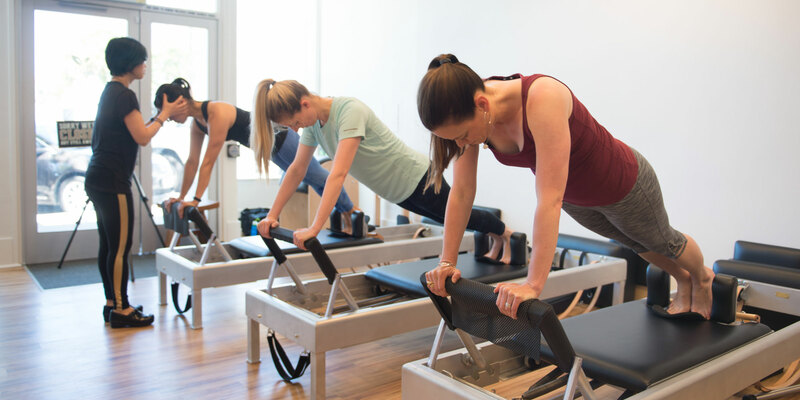 Fast-paced and trendy Pilates may be on the rise, but Pilates Story is bringing classical in with a force. Hye-yeon has really helped me find a better mind body awareness and move more effectively. I can’t recommend her enough.